On-board diagnostics (OBD) bypass tools are being shipped from Eastern Europe and China in kit form with instructions and blank keys, says a report linking the release of the tool to a spike in car thefts in Australia, Europe and elsewhere. Would-be car thieves need to grab the transmission between a valid key fob and a car before reprogramming a blank key, which can be used to either open the car or start it, via the OBD system. 1. In order to steal a car, the thief doesn’t need to reprogram the key right away. The criminal just needs to bypass the vehicle immobiliser quickly using potentially bulkier equipment — and drive away. Key reprogramming can be dealt with later at a secure location with less time constraint (let’s say 15-30 minutes). 2. BMW security has a hole: It employs a relatively weak, 48-bit Hitag system that can be hacked in under 3 minutes using computer hardware. There is also a known weakness in the randomisation of the security key and its dependency on the CAS dump (one of the vehicle’s modules). In other words, all components for a system are available on the Internet and putting the system together does not require a lot of technical skill. Our experts were quite sure that BWM engineers are well aware of these shortcomings and are working on tighter the security and probably on upgrading their encryption method as well. That will address BMW’s security issue — but also will make any key-cracking job harder. 3. In order to deploy such a system, one needs to bypass the vehicle alarm system. 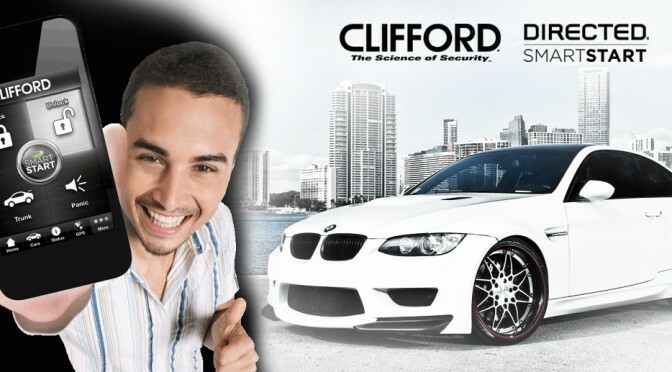 The OEM one-way security is susceptible to jamming while more sophisticated Clifford car alarm systems provide real-time status feedback and have additional sensors, etc. Get connected to your vehicle and get ahead of the criminals: Thieves will always find a way to get into your car – what you need is real-time awareness of when/where someone tries to violate your vehicle.